Jamming with Chuck Berry and Robert Plant, packing out the best Midlands music venues - and counting Suzi Perry as your biggest fan. Not bad for a band of good friends preparing to take to the stage for what could be the final time in a career spanning four decades. 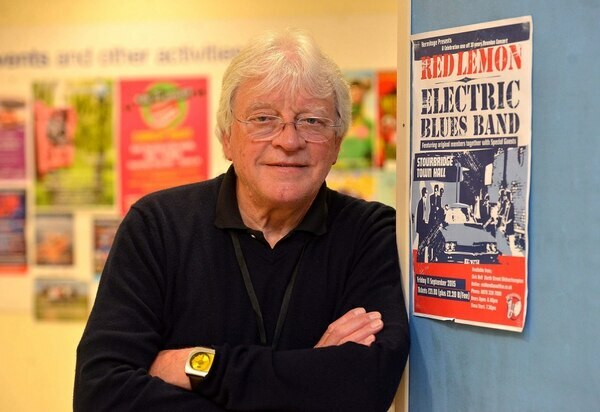 The Red Lemon Electric Blues Band will reunite to perform at Stourbridge Town Hall on September 29. The Rhythm and Blues band gathered a devoted following when they burst onto the music scene in the 1980s. Playing at the venue for a battle of the bands contest in 1985 cemented their spot on the Midlands music scene. TV appearances, playing at the Royal Albert Hall and gigs at the famous Ronnie Scott's Jazz Club in Birmingham beckoned over the years. 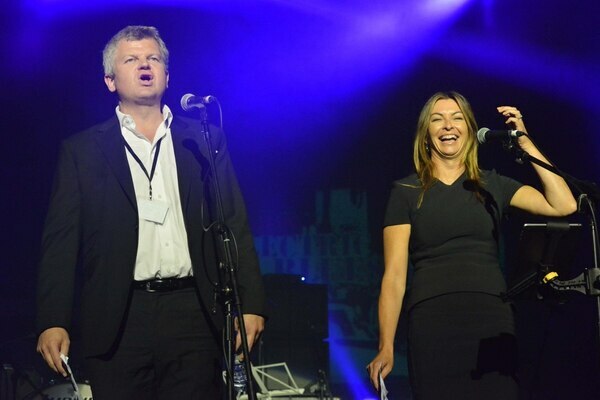 Wolverhampton broadcaster Suzi Perry often appeared as a dancer on stage in the group's early days. Her father Tony managed the group. And fellow radio and television presenter Adrian Chiles, who was raised in nearby Hagley, also featured as bass player in early line-ups. The pair will return to introduce the band on stage when they return next month. 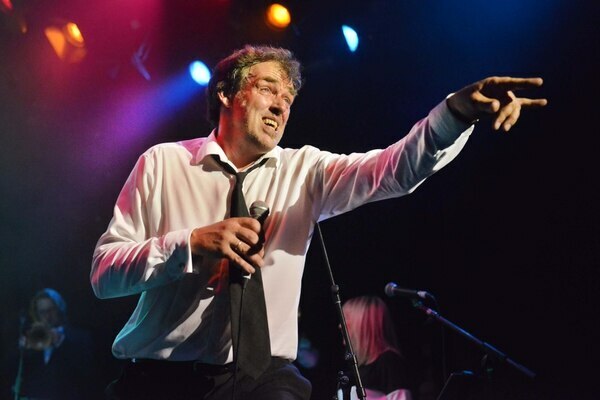 Frontman and group founder Jim Merris, aged 54, form Quarry Bank, says bringing the group back together for the hometown gig will be an achievement in itself. "One member of the group, Paul Roberts, is flying in from Australia which is brilliant," he said. "This might be the last one [gig together] as it takes such a lot of organisation. "It is very difficult to get everyone together as every is so busy with their own commitments. "We'll have a great time. I can't wait. If this is the last time, well, this will be a great night to play on a big stage full of top musicians." They celebrated their 30th anniversary in 2015 and have returned to the venue for a series of sell-out gigs. The group were formed after Jim was inspired by the style and success of the hit film The Blues Brothers starring Dan Ackroyd and John Belushi, which featured music from a host of soul, blues and jazz stars. “I was given a copy of the film by a friend and watched it four times in a row,” said Jim whose love of jazz and boogie-woogie music came through his parents Geoff and Evelyn. He bought a Pontiac Parisienne car for £200 to have a big American-style car like those in the movies and determined to sing and play harmonica in a blues band. He secured a slot at The Broadway pub, in Norton, Stourbridge, and set about starting up a group featuring guitarist Iain Willetts, Dave Crowley, who was a talented pianist, Neil Sprayson and a young Adrian Chiles on bass. After just a handful of gigs, Adrian and Neil left the group for university. 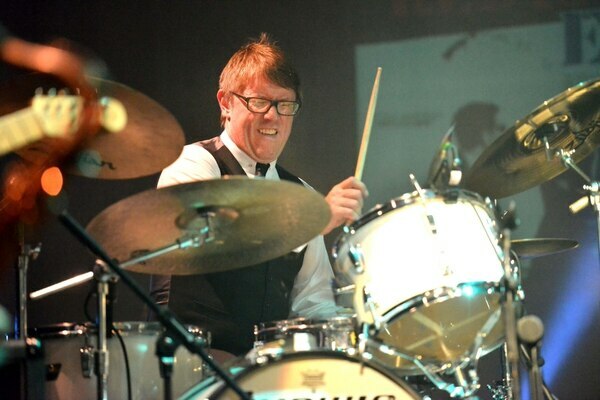 Neil Bullock, who is now one of the country's top drummers, bass player Dave Green and Bob Pountney, who played trumpet, joined the group, and a few months later so did trombone player Paul Roberts. Sue Clarke sang with the group. The Broadway, JBs in Dudley and now demolished Stewponey roadhouse pub at Stourton were among their regular venues. After a couple of years they took on manager Tony Perry - a well-known face on the Midlands music scene. He had co-run the PMA agency based in Waterloo Road, Wolverhampton, and had been a director of the Lafayette club, in Wolverhampton. Tony also managed the band Trapeze, whose members went on to join Deep Purple, Black Sabbath and Whitesnake. Tony, 78, said: "The group bring back wonderful memories. "The first time I saw them was at The Stewponey and they came out dressed like the Blues Brothers. It was brilliant. "It has been a brilliant friendship and relationship over the years." The Red Lemons played at the Royal Albert Hall, where they performed as guests of the charity Mencap and played with on the bill with reggae star Desmond Dekker. The reunion show will also feature current Climax Blues Band frontman Graham Dee. *Tickets are available now by phoning 0844 844 0444, online from www.ticketmaster.co.uk by searching for Red Lemon Electric Blues Band or from Wolverhampton Art Gallery.